Sea salt and table salt have a similar chemical composition, mainly consisting of the two minerals – sodium and chloride. The significant difference however, is that table salt contains 99.9% sodium chloride, whereas sea salt contains 98% sodium chloride, the remaining 2% consisting of trace minerals such as iron, magnesium, calcium, potassium, manganese, zinc and iodine. These minerals make sea salt a healthier, tastier and more nutritious alternative to regular table salt. Sea salt refers to the unrefined salt that is obtained by evaporating sea water. Due to its little processing, the trace minerals in its composition remain intact, and may differ according to the water source. Usually sea salt comes from the North Sea, the Atlantic Ocean or the Mediterranean Sea. Unlike many table salts, natural sea salt does not contain added anti-caking ingredients or potassium iodide. Sea salt is known for its diverse health benefits. Due to its mineral richness, sea salt helps clear toxins from the body, enhance energy levels, strengthen the immune system, and balance the body’s electrolytes. Whereas sea salt is obtained from sea water, table salt is obtained from the rock salt found in mineral deposits. In its natural form it contains sodium chloride and other beneficial minerals, but due to its complex refining process, these healthy minerals are lost. 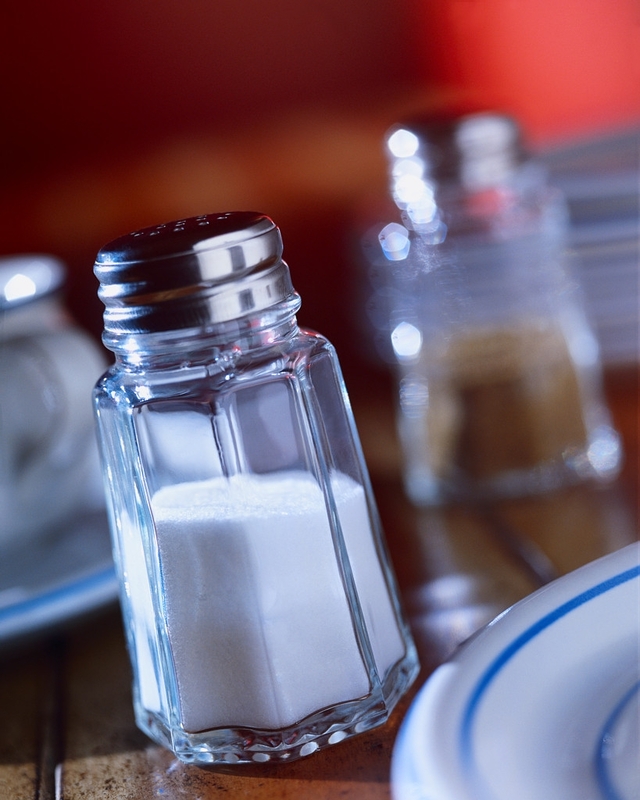 Table salt may also chemical additives in order to prevent clumping. Chemically processed table salt is found in considerable amounts in almost every processed food available. Health Canada recommends that adults consume between 1,500 mg and 2,300 mg of sodium per day. However, recent data from the 2004 Canadian Community Health Survey on Nutrition shows that Canadian adults consume an average of 3.092 mg of sodium per day, more than double the recommended level. Salt has gotten a bad reputation over the years mainly because of its over consumption and being over processed, striped off of the its valuable minerals. In the old days, salt was so precious that in some cultures it was used as payment for wages hence the word “salary”. For optimum health, make sure your diet is balanced and your consumption of sodium is within the recommended levels. Salt in moderation is a good thing, just be sure to choose the sea salt as a healthier alternative to regular table salt.